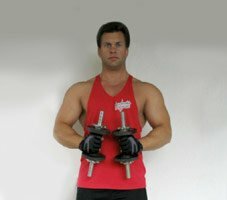 I&apos;ve trained at many gyms and health clubs in several different states over the past 20 years. During my numerous workouts, I&apos;ve observed the various people exercising around me. Some really know what they&apos;re doing, while others look like it&apos;s their first time in the gym - even though I&apos;ve seen some "first-timers" working out a few dozen times! I&apos;ve seen many people performing ineffective exercises, sloppy form when executing movements and sometimes conducting bad habits, which are dangerous. Hopefully you can avoid some of these common mistakes if you&apos;re made aware of them. Mistakes That Beginners Make & How To Avoid Them! Once a mistake is made, there&apos;s nothing one can do to reverse the mistake. It&apos;s a done deal. What if I could do it all over again? Check out these 30 tips that beginners can use. The biggest mistake that impedes progress is gender-related. Probably ego-related, too. Generally, men try to lift too much weight and women use too little weight during resistance training. I&apos;ve seen it over and over. Guys will lie down on the bench press, unrack a huge amount of weight from the support stands, and then drop the weight to their chest. The bar bounces off of their chest about an inch and then their training buddy grabs the bar and curls most of the weight up. This happens while the training buddy screams, "It&apos;s all you, man. Push it up!" Women, on the other hand, are just the opposite. 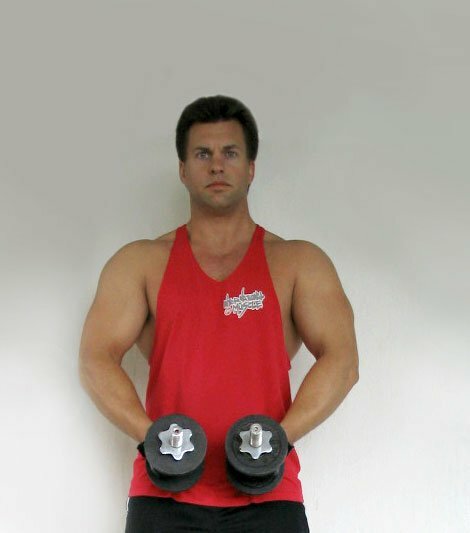 They are so afraid of getting big and muscular that they will continue to use five-pound dumbbells year in and year out. Top Mistakes People Are Making In The Gym. When I see a woman at the gym using 20-pound dumbbells for arm curls, I think to myself, "Good for her. She&apos;s figured out the secret to making progress." Weight training is progressive resistance. Think of it this way: In order to make progress, you have to increase the resistance. That&apos;s what tones up your muscles. You have to challenge them. Don&apos;t baby them. Okay, so now we know that men use too much weight and women don&apos;t use enough. So, how much weight should someone be lifting? Begin with a weight that allows you to easily complete two sets of 15 as a warm-up then choose a weight that will allow you to perform between 8 and 12 repetitions. If you can&apos;t do eight reps, it&apos;s too heavy. If you can do more than 12, it&apos;s too light and you need to add a little. 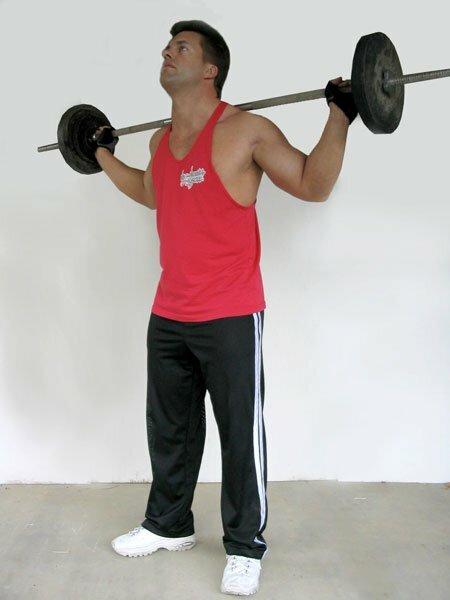 Add enough weight that will again allow you to only get eight reps. That&apos;s usually done by adding about five pounds. Swaying and using momentum to move weights are usually the culprits when someone gets injured during exercise. 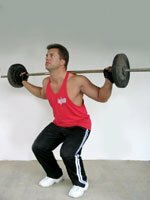 What&apos;s the reason for using momentum to lift a weight? The weight is too heavy to move in a controlled manner so it has to be heaved up in order to complete the movement. I&apos;ve seen dislocated shoulders, back injuries and muscle tears occur from this sloppy style of training. Stay in control. You won&apos;t make progress by becoming injured. People tend to go to gyms and health clubs for a variety of reasons. Some want only a little exercise to make them feel better about themselves, while others are on a serious mission to lose 75 pounds. Still others are at the gym for the social atmosphere. Some people just want to talk. They might be at the gym for two hours a day, but they might only be spending 20 minutes working out. The other 100 minutes are spent chit-chatting. If you&apos;re at the gym to make progress, cut down on the chatter and focus on your workout. Talk before and after your workout and keep conversations to a minimum during your workout. Your workouts will be more intense and you&apos;ll spend less time at the gym. The Codes Of The Gym! Most gyms have a written set of rules to govern our behavior while working out. ALL gyms, however, have an unwritten code of behavior that is not always readily apparent to even the most experienced. Here are the rules of the gym. Hundreds, possibly thousands of variations of exercises can be done these days. There are free-weight exercises and those that can be done on machines. With most machines, it&apos;s fairly easy to do them correctly. You don&apos;t have a great deal of choice. You move the weight stack of the machine in the path or groove that it was designed to travel in. Free-weight exercises are a little trickier to perform correctly and these are the exercises that I see people performing incorrectly. Inefficiently might be a better description. Below are photos of four exercises I see many people performing inefficiently. 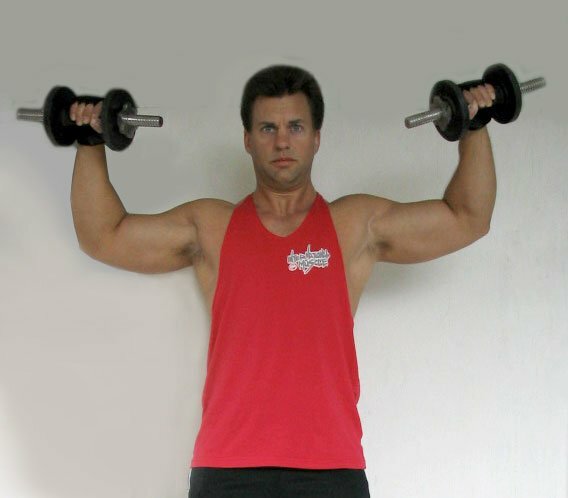 The first exercise, side lateral raises, is for the shoulders. 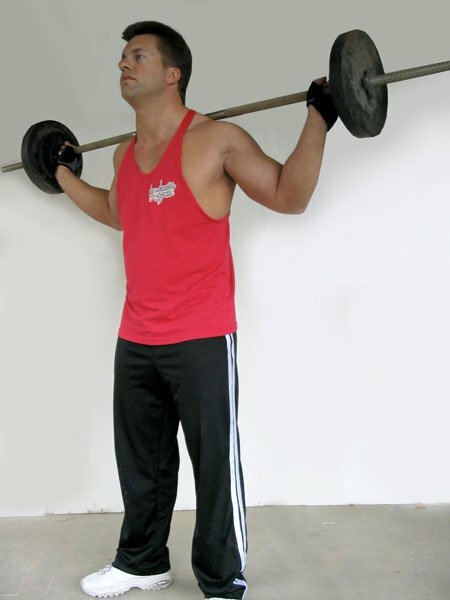 This exercise is designed to work the sides of your shoulder muscles - the lateral deltoid. It&apos;s very effective in toning the shoulders and contributes to the upper arm having a firm appearance once it is developed. The WRONG Way To Do Side Lateral Raises. and the dumbbells should not be pulled back. When side lateral raises are done incorrectly, you don&apos;t isolate the side of the shoulder muscle but the focus is then placed on the front of the shoulder, the anterior deltoid. Overhead pressing movements and most chest exercises tend to stimulate the front area sufficiently so it&apos;s better to do an exercise to strengthen the side of the deltoid muscle as well. The RIGHT Way To Do Side Lateral Raises. and raised to the sides while slightly turning the wrist down and forward. 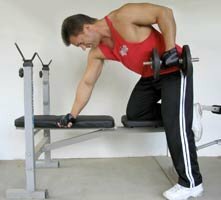 In addition to overtraining the front of the shoulder, straining the rotator cuff in the shoulder joint is also a possibility by doing lateral raises incorrectly. 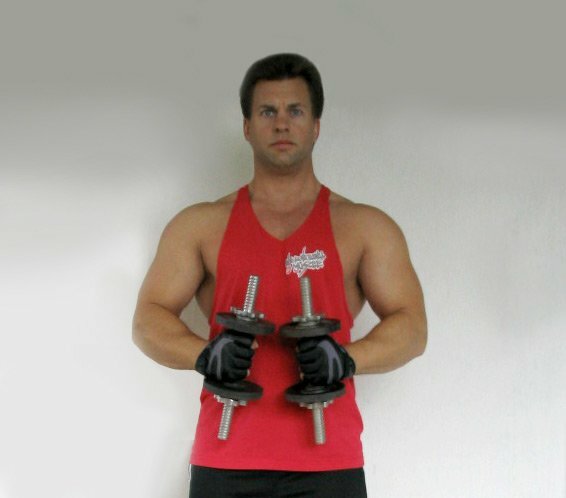 The next exercise is the one-arm dumbbell row. In this exercise you mimic the starting of a lawnmower. Done correctly its very effective at building and toning the muscles on the side of the upper back. Getting a full stretch at the bottom is important and it should be pulled up to the hip, not your shoulder. 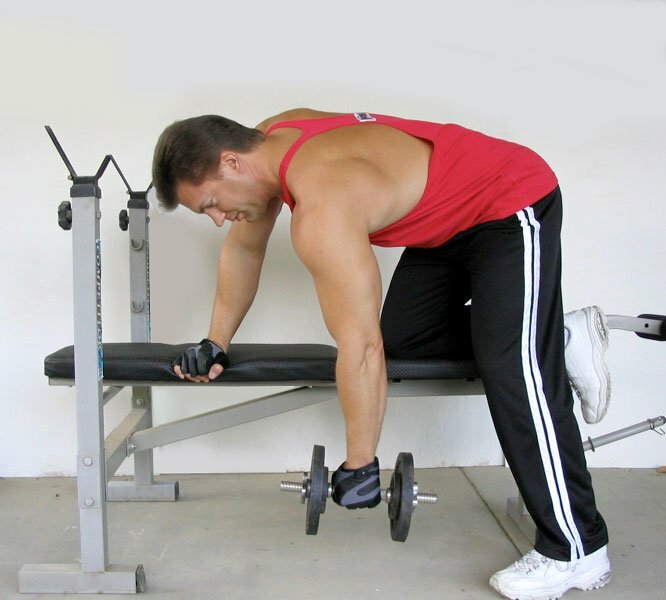 The WRONG Way To Do One-Arm Dumbbell Rows. the shoulder and do not swing the weight forward. Pulling it up to the shoulder brings the back shoulder muscles and upper arm muscle into play and there are more effective exercises to hit those muscles also. The RIGHT Way To Do One-Arm Dumbbell Rows. hip and allows a full stretch at the bottom. 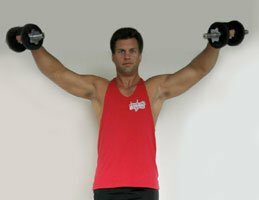 Arnold Schwarzenegger made the dumbbell concentration curl a very popular exercise for the muscle of the upper arm, which is called the bicep. 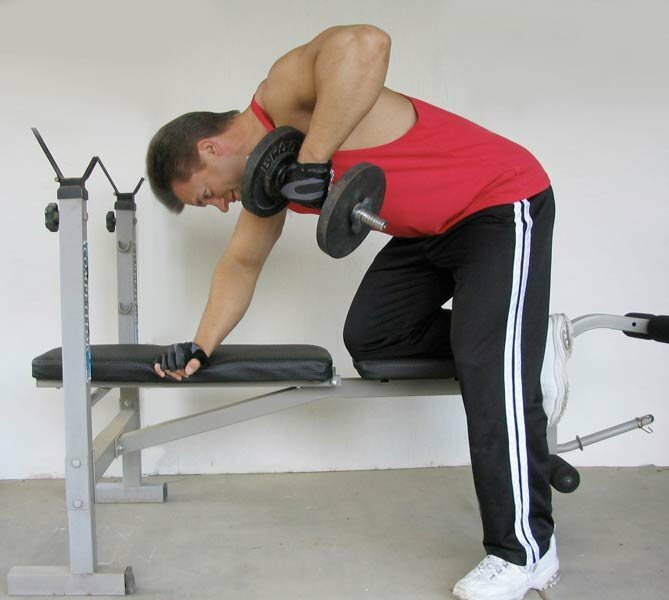 This exercise helps to tone and gives a nice roundness to the bicep muscle. 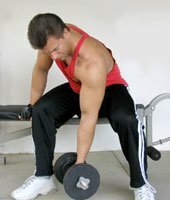 The WRONG Way To Do Dumbbell Concentration Curls. and you should not rest the elbow on the knee. Many people tend to rest the elbow on the knee and allow leverage to help them lift the weight. I like to do them the way Arnold did because he knows a thing or two about training biceps! 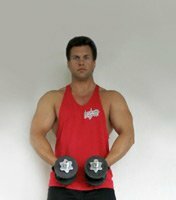 The RIGHT Way To Do Dumbbell Concentration Curls. and the bicep is fully contracted. The last exercise is one that many people skip entirely. It separates the women from the girls and the men from the boys. It&apos;s the barbell squat. Quite frankly, it&apos;s the most difficult of all exercises. 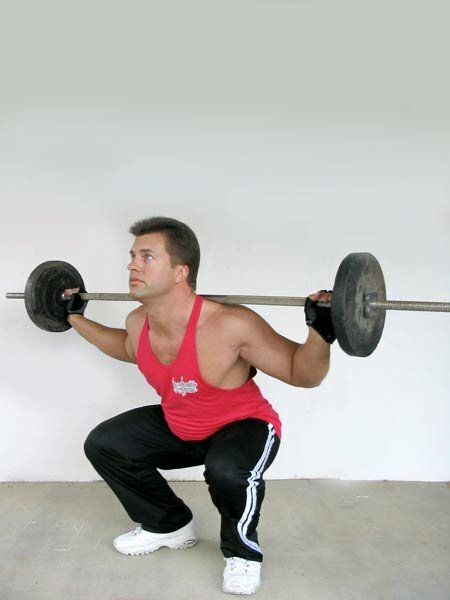 The WRONG Way To Do Barbell Squats. down and do not point the toes straight forward. Squats will leave you exhausted after only a few sets, which is precisely why they are so effective. They burn lots of calories in addition to adding tone and strength to your legs, hips and glutes. With that being said, however, if you have bad knees or chronic low back pain you may want to substitute another leg exercise or do squats in a Smith machine for added stability. The RIGHT Way To Do Barbell Squats. the toes are pointed slightly out to the sides. If your knees are healthy and you&apos;ve got a strong lower back, go for it! Don&apos;t wimp out on these. Go down until your thighs are parallel to the floor and then back up. If you only go down a quarter of the way, you&apos;ll lose three-quarters of the benefit. It&apos;s a common misbelief that in order for your exercise plan to keep being effective, you have to add more exercises or to do longer stretches of cardio. Many people have a hard time believing that my weight-training workouts normally last about 25-30 minutes and my cardio sessions are less than 30 minutes. The trick is to work harder, not longer. That&apos;s done by lifting heavier, resting less in between sets, and doing only one or two sets per exercise instead of three to five. It also means walking, running or riding faster, not longer. It&apos;s simple, but it works - try it! 5 Exercise Mistakes And Solutions! While I have seen pretty much everything imaginably wrong in the gym there are a few common mistakes that are easy to correct thatmany people do. Well, that&apos;s five. If you fit into any of the above categories, I suggest you make a few easy adjustments in your workout routine - unless, of course, you don&apos;t want to make any more progress and are quite happy spending several hours in the gym each day with little or no results. My guess is, however, that if you&apos;ve gotten this far into the article, you are a results-driven person and are going to implement at least one of these suggestions into your workout. Now, if you&apos;ll excuse me, I have to go see how much weight I can bench press. After all, I&apos;m a guy, right?